In the world of Brands, the most important element is whether one can trust a brand or no… Every brand today wants to cater to its consumer in the best possible manner and in that quest every brand is seen strengthening their core essence day by day however few brands today have forgotten the math of making their brand trusted. The brand custodians should not forget that what has always been the key to success is the trust that a brand develops with its consumers. Today consumers are evolving and adapting newer products within a fraction of a second hence the brands too seem quite considerate towards strengthening their relationship with their consumers in the best possible way. Like every year, the much waited brand barometer, The Brand Trust Report, India Study, a study comparing ‘trust’ held in brands, for 2015 was released last afternoon. This report is launched annually by TRA (formerly Trust Research Advisory), a company of the Comniscient Group which is a diversified communications group. This year LG wins the race and has been ranked as India’s Most Trusted brand in the study. The brand was ranked 4th in BTR 2014, 10th in BTR 2013, 3rd in BTR 2012 and 4th in BTR 2011, showing a consistent trust legacy. The struggle for the top trust slot continues, some rise and others fall, but the only thing that can be predicted with certainty is that it is not easy to stay at the top. This year though, LG has leap-frogged all other contenders to take the topmost trusted slot in India, maintaining a lead of 18% over the next brand. Following the league was, Samsung Mobiles which is ranked India’s 2nd Most Trusted Brand, climbs 377 ranks over the previous year. Sony is the 3rd Most Trusted, followed by Tata ranked 4th (both are down one rank from last year) and Nokia is ranked 5th maintaining its rank of last year. 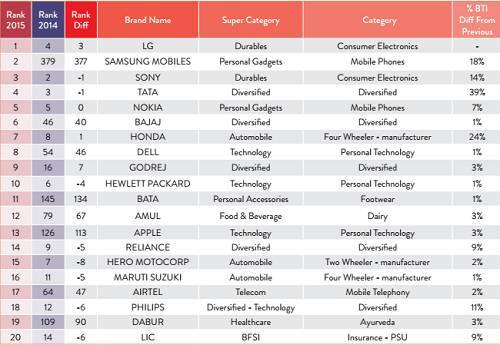 India’s 6th Most Trusted Brand is Bajaj which has gained forty ranks over 2014 and Honda is ranked 7th Most Trusted gaining one rank over last year. Dell is India’s 8th Most Trusted Brand rising 46 ranks over the previous year, Godrej is India’s 9th Most Trusted (up seven ranks over 2014) and Hewlett Packard is the 10th Most Trusted in 2015. NDTV, the Channel Cluster with 3 channels, is India’s Most Trusted TV Media, followed 41% BTI behind another cluster, Zee, which ranks as India’s 2nd Most Trusted TV Media. 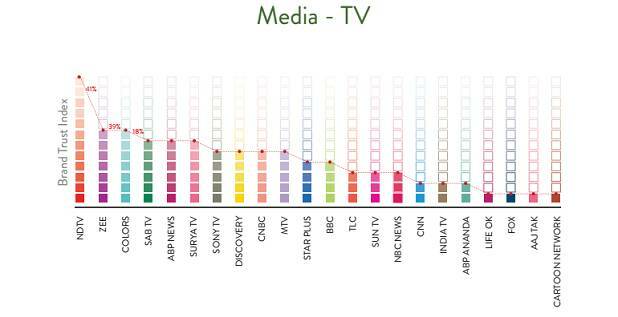 The next has an almost similar gap is the 3rd ranked TV Media, the Hindi GEC, Colors and SAB TV also in the Hindi GEC Category is India’s 4th Most Trusted TV Media. 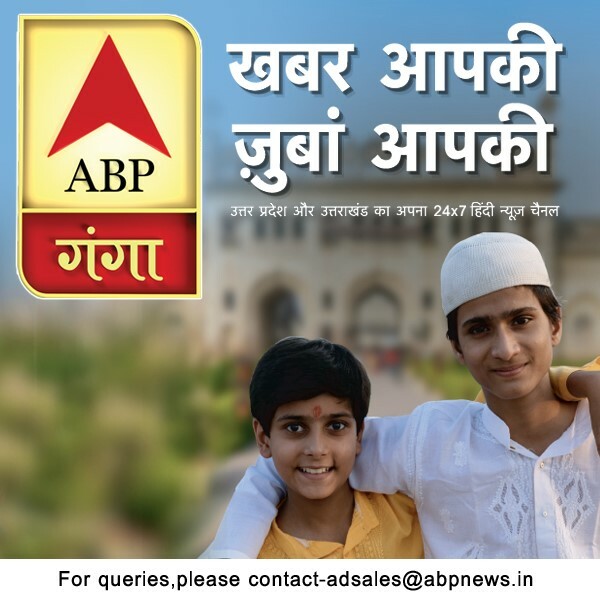 ABP News is at 5th rank and is first among Hindi News Channels. To get a deeper understanding of the research process, number of brands that participated and much more Adgully caught up with N. Chandramouli, CEO, TRA. Brands are best analyzed in their peer groups and the classification of the categories has evolved over the years and is reviewed each year to keep them most relevant to the brands which have been clubbed under it. “This year not only brands but the overall categories have also grown. Every category has huge number of brands in it,” he stated. 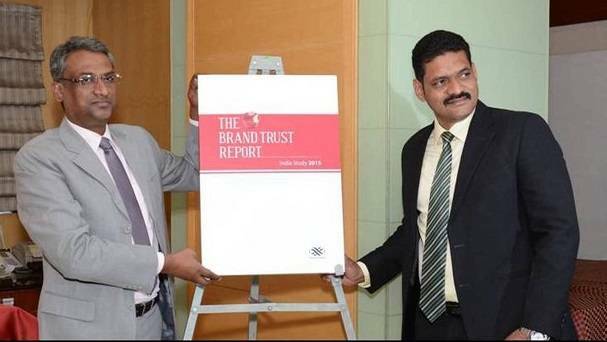 “Trust is the most important connection between a brand and its stakeholders and it is important for every brand to analyze its Trust Quotient very closely,” Chandramouli mentioned while signing off. For information and records, The Brand Trust Report, the fifth in its series, is the result of a comprehensive primary research conducted on the proprietary 61-Attribute Trust Matrix of TRA (formerly known as Trust Research Advisory).